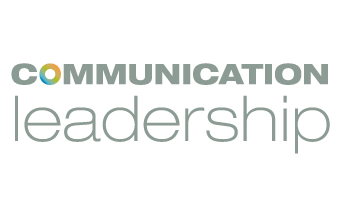 Communication Leadership at the University of Washington collaborates with organizations across sectors. From tech startups to Fortune 500 companies to small nonprofits and government agencies, our partners are vital to the educational experience of our students and the success of our graduate program. We strive for mutually-beneficial partnerships: organizations benefit from the communication expertise of our community while simultaneously supporting the educational experience of students. In many cases, the needs of organizations provide an opportunity for graduate students to apply their new skills to real-world scenarios. Our community is interested in full-time and part-time positions, paid internships, and project-based work. Because we are a professional degree, the skill levels of our students and alumni vary, so positions at all levels are welcome. If you are looking to hire someone, please complete the form below and we’ll include it in our weekly jobs digest sent to 600+ of our students and alumni every Monday. Interested in getting to know our community? We invite you to host a “First Friday” — a monthly networking event for our students and alumni to learn about Seattle-area businesses and build relationships with potential employers. Partner organizations host us in their space, showcase their current work, and promote opportunities within their organization. These events typically draw 40-60 graduate students or alumni and take place October-May. To learn more and apply, please complete the form below. Many of our classes require students to work in teams on a defined communication need. When possible, we partner with an organization whose needs align with the class teachings. The projects spans the length of the academic quarter (three months) and the specific deliverables vary depending on the class. Examples include content strategy proposals (recommendations for website improvements), audience or customer engagement strategies, and crafting an organizational narrative. Client fees begin at $1500 and nonprofit rates are available. To learn more and apply, please complete the form below. We provide pro bono communications support to nonprofit organizations in our community. Our team then recruits top students to execute these projects. These students act as independent consultants for the organization, and Comm Lead faculty and staff provide advising as needed. In exchange for participating in this program, students are rewarded with a scholarship to help with their tuition. In addition to offering broad communications support for nonprofits, each year we focus on a high-priority cause or issue in Seattle-area where we think our storytelling and communication expertise could have an especially positive impact. Top students then form a mini communications agency to elevate the work of leading organizations in that sector. For the 2018-2019 school year, we are focusing on housing security, affordability and homelessness in the greater Seattle-area — though we are open to collaborations with nonprofits focused on other important causes, too. If your organization is interested in participating in this program, please complete the form below and one of our team members will be in touch to discuss next steps.